Do you know why you look the way you look? People must have said you resemble someone in your family. You could have your dad’s jaw, your mom’s eyes and your grandma’s nose. However, you are never their replica. You have your own characteristics, your own features and quirks that make you uniquely you. All of this is controlled by one thing: genes. 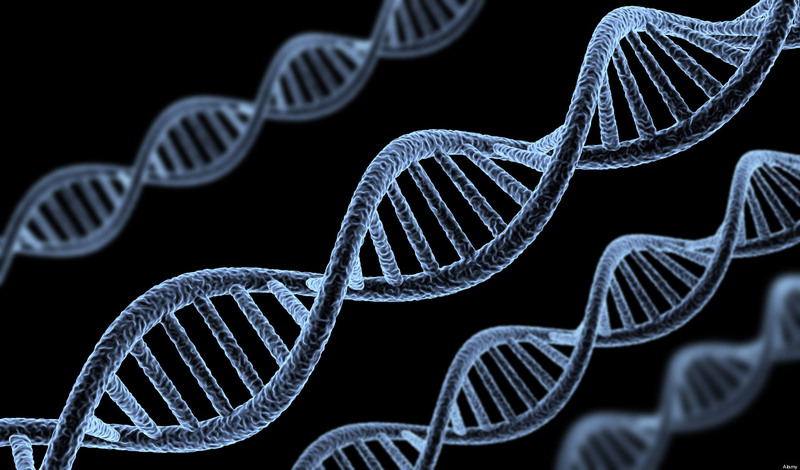 Genes are the structural and functional unit of heredity. They control how you look, how you walk, how smart you are, how creative you are. Of course, certain environmental and opportunistic influences are present (you could have the potential to be a great tennis player in your genes, but what if you never got a chance to play tennis?). However, your life and the lives of every species is governed by their genes. The story of genetics is a fascinating one. The concept of genetics finds one of its roots aboard a ship called HMS Beagle, where the famous naturalist Charles Darwin resided for many months travelling around the world. In his journey, he collected many fossils, plant and animal specimen and observed countless creatures that convinced him that many of these living organisms shared certain characteristics. It didn’t matter which part of the world they were from or how long they have been present on Earth. He noticed that some organisms survived better in their habitats, while other struggled. In fact, even within the same species, some seemed “fitter” than others. 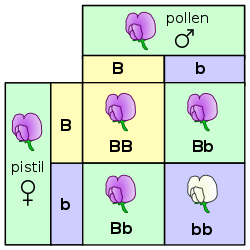 In the color of flowers, the 2nd generation produced colors in the ratio of 3:1 as well. The white flowers were not present in the 1st generation. While Darwin was working on his theories, another scientist from Europe called Gregor Mendel was hard at work studying how variations were caused while breeding peas. He noticed that when a tall and a short pea plant were cross-bred, they produced offsprings that were all tall. However, when these offsprings were bred amongst themselves, it produced tall as well as short plants in the ratio of 3:1. Such results persisted even when he studied other features of the plants like the color and shape of the seeds, color of flowers, etc. This fascinated Mendel, who concluded that there were certain traits (characteristics that are heritable) that were transferred to the next generation but not all of them were necessarily expressed. They could display themselves in future generations if the correct combination of traits were created. These traits were different from characteristics that were present in an organism purely because of environmental influence. For example, you could move to a tropical country from Europe right now and develop a tan. That doesn’t mean your kids will also have dark skin. These traits were independently inherited of other traits, thereby creating new combinations in the future offspring. There could also be variations or “mistakes” in the transfer of traits. From the works of these two visionaries, genetics evolved as a subject of interest and importance. None of their work was really appreciated during their time. They received recognition and praise much after their deaths. Every species seemed to have certain variation amongst themselves. Traits are inherited from parents to their offspring, but this inheritance is not a perfect copy of any one parent. Therefore, the variations are introduced during reproduction. These variations can sometimes prove advantageous to the organism. If there was a particular environmental stress, most organisms of that species would die, but the one with the advantageous trait could survive. For example, if a lizard was suddenly born with the ability to change its color according to the background (camouflage), it would be different from other lizards that could not. Consequently, most of the “normal” lizards would be eaten by a predator, but the one with the camouflage would survive. These advantageous traits are then passed on to the next generation. A beautiful example of natural selection, where green fishes escape the predator. This color is selected and passed on to future generations. Mendel was a key figure in explaining how traits are inherited from one organism to another via reproduction. 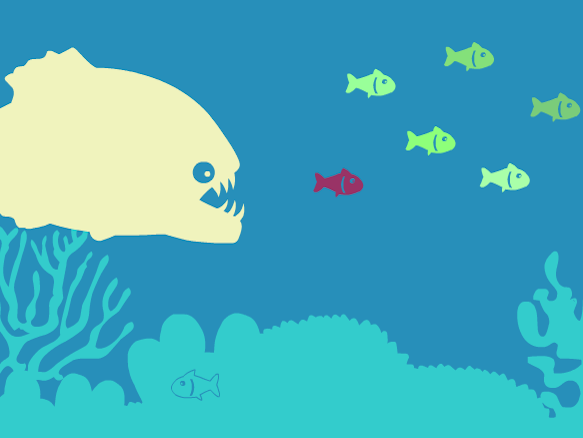 Darwin, meanwhile, gave a more elaborate theory of natural selection. He stated that in nature, some organisms were fitter than others due to advantageous traits they inherited. When there is an environmental pressure faced by a population of that species, these traits would help them survive whereas others would die. This was called “survival of the fittest”. He also stated that variations are a natural part of population growth over generations. Given time and the right conditions, certain variations could persist that would make a population markedly different from it’s ancestors. Eventually, they would become so different that they become a new species. This was called speciation. His observations during his journey validated this claim. He had noticed many organisms that shared characteristics, which made his consider the possibility that they had evolved from the same ancestor. Today, genetics and its role in inheritance is a fact. The claim that these variations over time has resulted in the biological diversity today is also not questionable. The process has taken a long, long time. It has lead to immense complexity in ecosystems around the world, giving life on Earth its stability. Why is this important in conservation? It was important to explain the basics of genetics before we dived into its role in conservation efforts. Today, there is a huge threat to the biological diversity that has been created through evolution. Largely, this threat is because of human activities of habitat destruction, fragmentation, invasion and over-exploitation. The urgent need for conservation of this diversity is because it is being lost at a rate 1000 times the rate it was lost in the past. Why is that significant? I mentioned above that organisms develop variations over time; variations that can help them adapt to an environmental stress and survive it. However, the loss of species due to environmental stresses is occurring much faster than the development of variations in a population of a species. Therefore, these species are under severe threat of extinction. Genetic diversity is inherent in the populations of a species around the world. It is this diversity that ensures that the species survives, even if certain individuals do not. It ensures that the future generations are better capable of dealing with the stresses that species is facing. Today, a major problem is that this genetic diversity has been depleted because of rapid decline in the population of a species. There are about 1400 tigers left in India. The number of Giant Pandas left in the wild is 1000-2000. Fewer than 1000 Asiatic river dolphins are left in the region. With such low numbers, how much diversity can you expect in the genes of the organisms in the population? In the picture on the left, I have greater number of “genes” to play with, resulting in greater number of combinations. On the right, I have only two genes; the combinations I can make significantly reduces. Fast decline in population + Little time for development of variations + low genetic diversity among existing organisms = extinction. Low number of organisms are not the only reason for low genetic diversity. Even if a population has a large number, they can have low genetic diversity if they continue to breed amongst themselves. In this case, the same genetic material is recycling within the offsprings generation after generation (called inbreeding). This is one of the biggest problems with the Asiatic lion population in India. That is why, even if new offsprings are produced, they require extensive care and protection for them to survive the environmental stresses faced by the lions. Population genetics is the study of genetic material and its variability in the populations of a species. Such professionals collect genetic material of animals from their hair, scant (poop), and skin lesions and extract DNA from it. They then assess the genes present in the DNA to see how much variation is present in the organisms. This helps them determine whether there is enough genetic variability in that species for it to survive in the wild. identify the populations that are at risk of extinction because of the lack of inherent ability to adapt. Once such populations are identified, the conservationists try to improve the genetic diversity of the population by introducing new genetic material. In the case of the Asiatic lions, new genetic material can be introduced by importing lion cubs from Africa and growing them with the Asiatic lion population. They can interbreed and develop new variations, making them “fitter”. We can also identify organisms with superior genetic traits. They can be used to make the population fitter by selectively making them breed with other individuals of the population. Conservationists also work in improving the environmental conditions of the populations at risk. They try to reduce the environmental stresses of the populations under threat, so that new variations can develop the way nature intended it to develop. The work of population ecologists requires them to spend months in the field collecting genetic information from sufficient number of individuals of a population. This is them analyzed through complex software and models. However, the end result is a satisfying one. If you can save a population from dying out, what better satisfaction do you need for your work? List of endangered species and their numbers. PreviousWorld Conservation Strategy: What is it and why is it important?